Babangida denies issuing statement against Buhari – Royal Times of Nigeria. 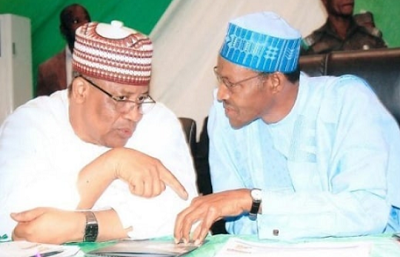 Former military Head of State, General Ibrahim Badamasi Babangida, has issued a statement refuting, denying and disavowing the now widely circulated letter making the rounds across major media which urged President Buhari not to run for re-election in 2019. The statement signed by Babangida and released to PRNigeria.com quoted the general as saying the the views expressed in the alleged statement are not mine but that of the writer. The retraction comes in the midst of a similar open letter issued by former President Olusegun Obasanjo a week ago urging President Muhammadu Buhari not to run for re-election in 2019. “My attention has been drawn to a press statement on the State of the nation with a particular reference to 2019 general elections and beyond. Let me categorically state that as a former President and Statesman, I have unfettered access and channel of communication with the highest authorities in the country without necessary going public with a sensational statement. Therefore, the views expressed in the alleged statement are not mine but that of the writer. However, with due respect to individual opinion and constitutional rights, it is worrisome that Political events and civil unrest in many parts of the country have raised many questions on the governance and unity of our great nation. Indeed 2018 has been inundated with political clamours and hot debates over the corporate existence of this country. Many of contributions, including constructive criticisms and engagements, have shown greater concerns for the corporate existence of Nigeria beyond 2019 general elections. As a people, now is the time to come together to address all Communal conflicts and criminality under any guise so as to unite the country in line with the vision of our founding fathers so that we can forge ahead in the task of building a more prosperous nation”.